14 years ago today… they finally put it out, this surely calls for a celebration! 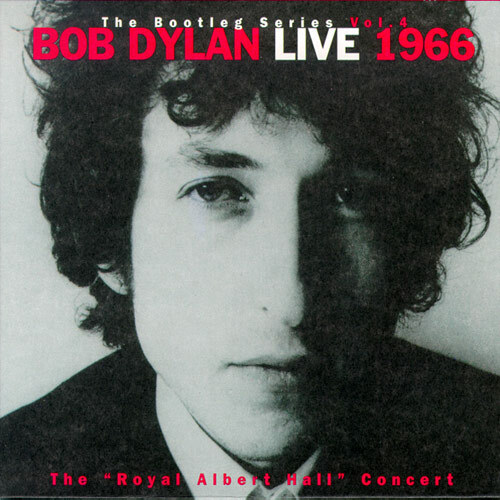 Live 1966: The “Royal Albert Hall” Concert is a two-disc live album by Bob Dylan, released in 1998. 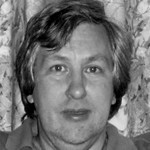 Recorded at Manchester’s Free Trade Hall. 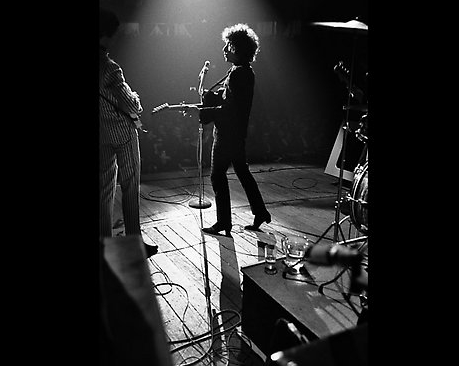 It is from Dylan’s famous world tour in 1966, having been extensively bootlegged for decades, and is an important document in the development of popular music during the 1960s. 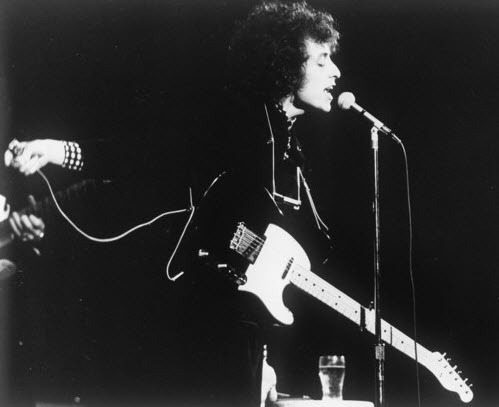 The setlist consisted of two parts, with the first half of the concert being Dylan alone on stage performing an entirely acoustic set of songs, while the second half of the concert has Dylan playing an “electric” set of songs alongside his band The Hawks. The first half of the concert was greeted warmly by the audience, while the second half was highly criticized, with heckling going on before and after each song. I felt like I was being forced back into my seat… like being in a jet when it takes off. 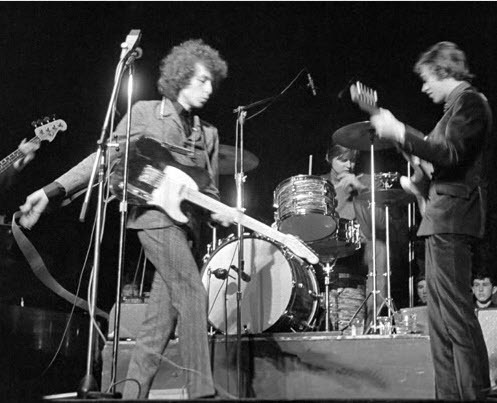 After touring North America from the fall of 1965 through the winter of 1966, Dylan, accompanied by The Hawks (later renamed as The Band), embarked on a six-week spring tour that began in Australia, wound through western Europe and the United Kingdom, and wrapped up in London. 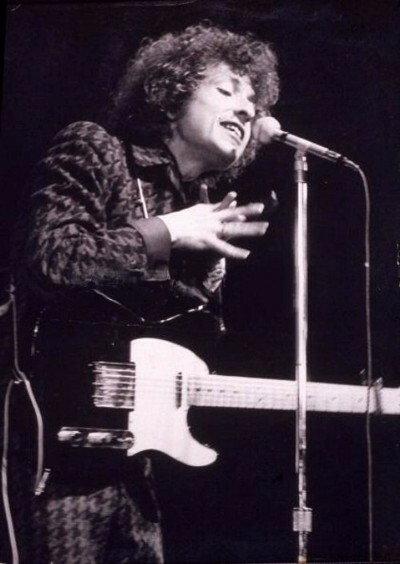 Dylan’s move to electric music, and his apparent disconnection from traditional folk music, continued to be controversial, and his UK audiences were particularly disruptive with some fans believing Dylan had “sold out”. 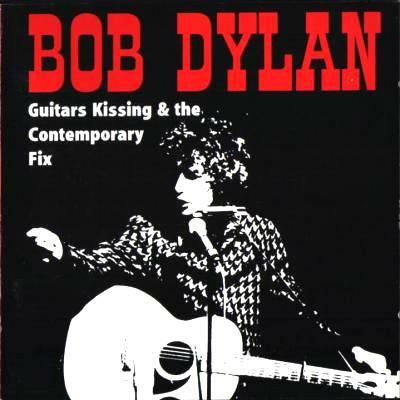 After years of conflicting reports and speculation among Dylan discographers, the Manchester source was verified after the preliminary mix of a proposed Columbia edition was bootlegged in 1995 as Guitars Kissing & The Contemporary Fix. 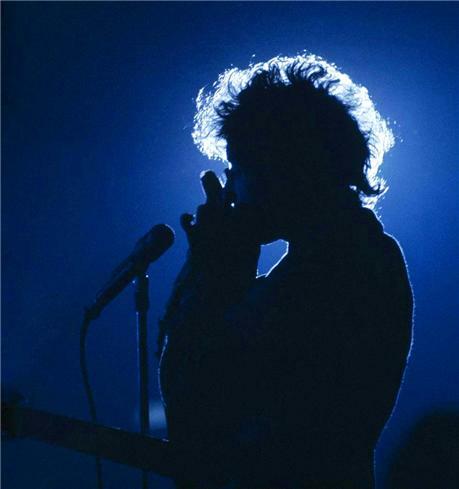 Dylan rejected that edition; three years later, he authorized a markedly different version for his second “Bootleg Series” release. 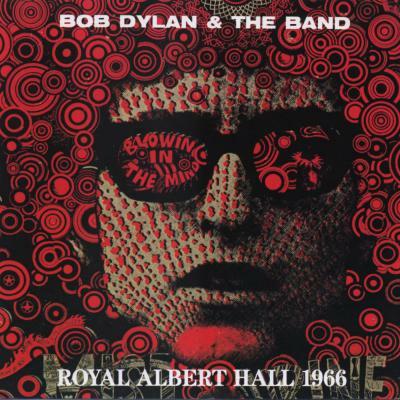 One song recorded at Dylan’s real Royal Albert Hall concert had been previously released: his May 26, 1966 performance of “Visions of Johanna” on the Box set Biograph. Excerpts from other 1966 UK performances are included in Martin Scorsese‘s 2005 television documentary No Direction Home. Film footage of the “Judas” incident was discovered and used at the end of the documentary. When Live 1966: The “Royal Albert Hall” Concert finally was released in 1998, it was a commercial and critical success, reaching #19 in the U.K. The inside leaflet reveals useful information about the conditions of how the concert was recorded and transferred to disc and it confirms that the version of “It’s All Over Now, Baby Blue“, previously released on the Box set Biograph, duly comes from this concert. Three decades afterwards, and in heart-stopping quality, came the complete concert from 1966 at last. Long thought to have been from the Royal Albert Hall, London (the early, incomplete bootlegs had claimed this), the concert was actually from the Manchester Free Trade Hall: the time-stopping astonishing, riveting, synapse-crinkling acoustic solo half and, performed with THE HAWKS, the transcendent revolutionary electric second half. Bob Dylan at the absolute lapidary peak of inspiration, just turned 25 years old and utterly dismissive of the received wisdom of showbiz. This concert also embraces that telling moment when someone in the audience shouts ‘Judas!’. about the available officially recorded tour tapes and how they had been reprocessed for the release of this concert, 32 years after it happened. 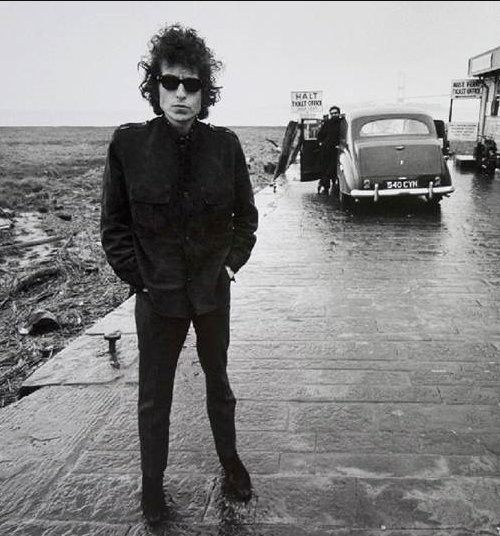 ..the Manchester show …features a considerably more controlled Dylan, even though it constitutes the most notorious battleground on the tour. 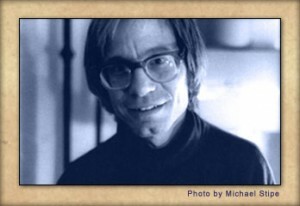 The May 17 acoustic set may actually be the most unrepresentative solo set of the entire world tour. Gone are those gently gliding syllables, almost as if the previous night’s cocktail had left him little in reserve. The electric set, though, was particularly loud, and the reaction particularly explosive. ..the Manchester electric set…. there’s so much here and it requires the creation of a new language to be able to talk about it and anyway you already know – “everything I’m saying, you can say it just as good” (Dylan sings this at Manchester with a weariness that has an extraordinary core of resilient strength, surrounded by guitar notes and drum beats and organ riffs that are truly eloquent, full of very specific color and breathtaking beauty). 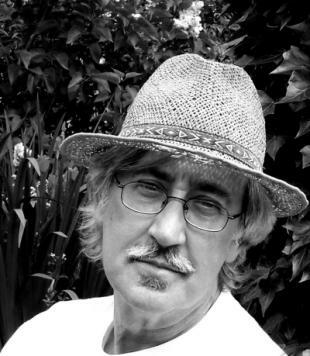 The songs flow together into one song, moving from the explicit sexual (Tell Me Momma, I Don’t Believe You, Baby Let Me Follow You Down) to more complex, less identifiable, more emotional landscape (One Too Many Mornings, Ballad of A Thin Man, Like A Rolling Stone). The version of “Ballad Of A Thin Man” is arguably the most powerful I’ve ever heard. The band (that includes the vocalist) found the groove, I mean really found it, this performance is an ocean wide and a hundred light-years long (and ends right on schedule, the infinite in a nutshell). 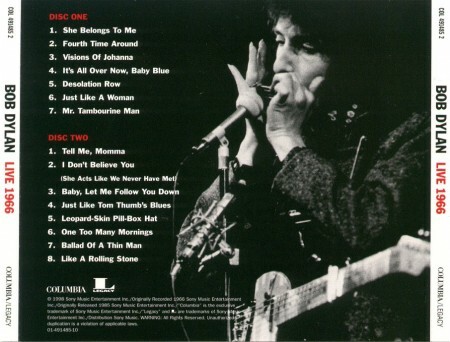 And “Like A Rolling Stone,” impossibly, is the equal of the original recording, totally new and just as intense. 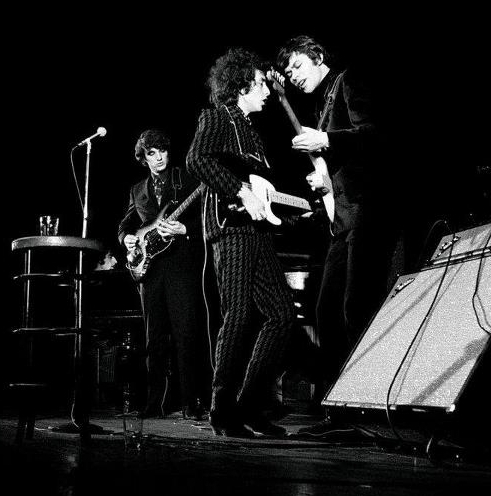 I can’t find “Ballad of a Thin Man” or “Like A Rolling Stone” from this concert on youtube… (or soundcloud), but we need some videos from the 1966 tour (spotify is further down.. but not everybody has spotify). at night with a plying of the National Anthem, as you can hear here. Always tempted to see that slipped into a quiz as a trick question.